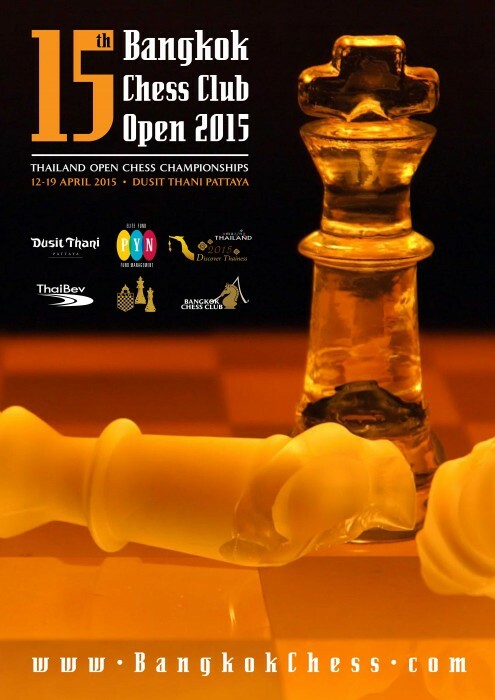 The 15th Bangkok Chess Club Open will take place on the same dates as last year – 12-19 April – in the spacious ballroom of the Dusit Thani Pattaya (with up to 2,400 square metres / 26,000 square feet of uninterrupted playing space). The Swiss System format is used, with time control of 90 minutes for 40 moves plus 30 minutes for the rest of the game and 30s increment from move 1. The Open Tournament is a 9 rounds, while the Challenger, for under 2100 or unrated, is 7 rounds. First prize is 100,000 Baht – more details in the tournament regulations. Grandmaster Nigel Short – 2012 Champion: a chess prodigy who, at his peak, challenged Garry Kasparov for the World Championship, after defeating Anatoly Karpov to qualify. Now the oldest player in the top 100, Short finished this year’s Pokerstars Isle of Man tournament with a staggering 2788 rating performance, ahead of luminaries including Laurent Fressinet and Maxime Vachier-Lagrave. He has described the BCC Opens as the “best tournament in the world for amateur players”. Grandmaster Jan Gustafsson – 2011 Champion: The German GM is now become famous for live tournament commentary and analysis (on Chess24.com), but continues to play in the German League for Baden-Baden alongside “Paco” Vallejo Pons. He has said that the only open tournaments he plays are Gibraltar and Bangkok. Grandmaster Francisco Vallejo Pons – 2014 Champion: “Paco” won the Under 18 World Youth Chess Championship in 2000, and maintains a FIDE rating around 2700. 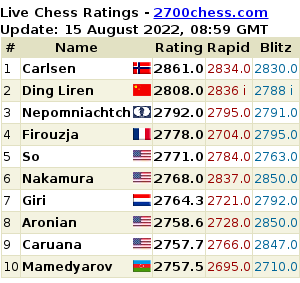 He has defeated former World Champion Topalov with both white and black pieces.